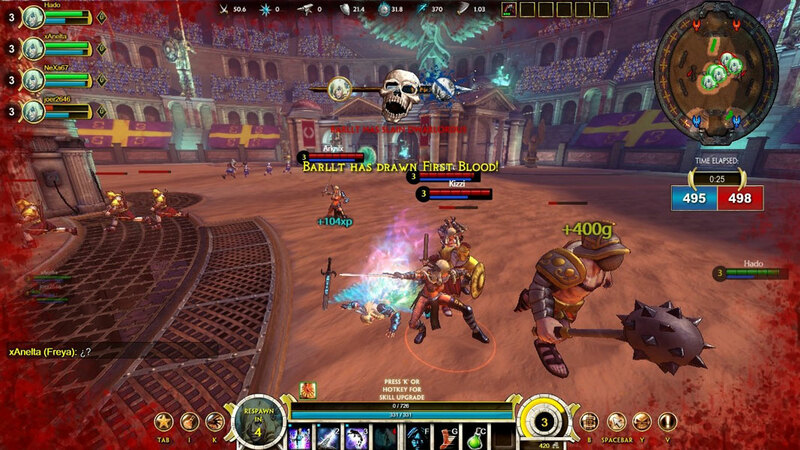 Smite is a Free to Play, Multiplayer Online Battle Arena (MOBA), Action Game, with a feel and stile more closer to MMO Player versus Player (PVP). 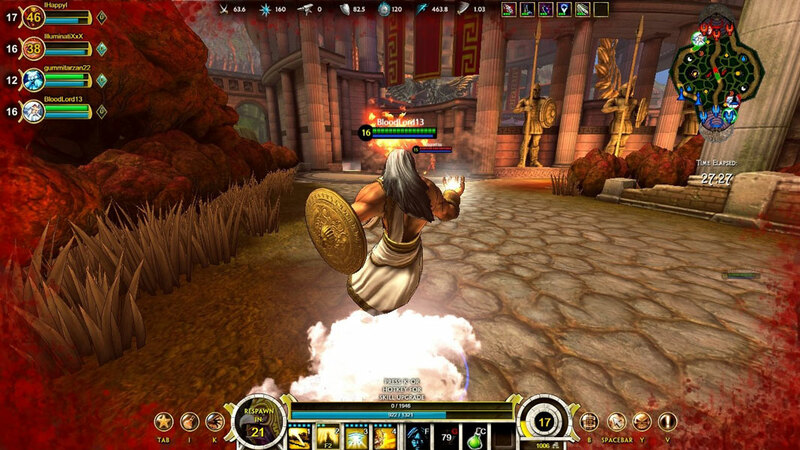 ''Smite is an online battleground between gods. 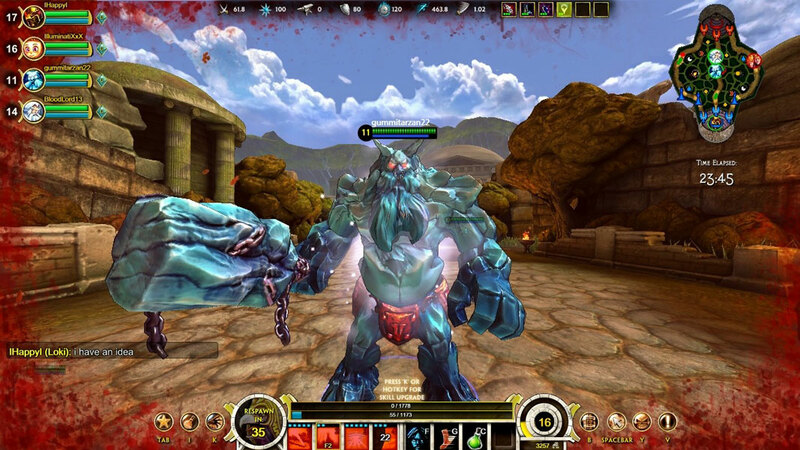 Cut through your enemies, encase them in ice, or drown them in a vortex of souls. 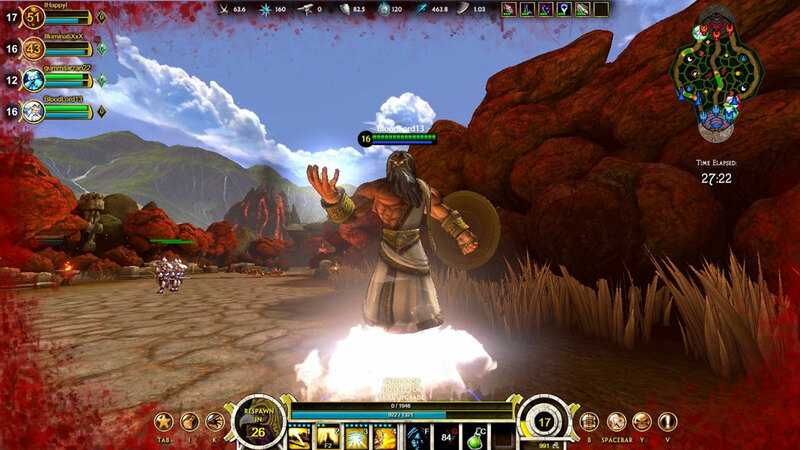 Choose from a long list of powerful gods, each with their own history, special abilities, and unique playstyle. 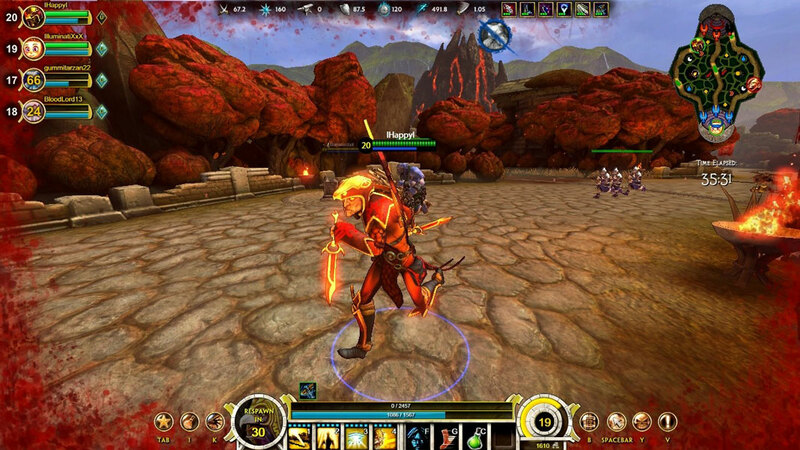 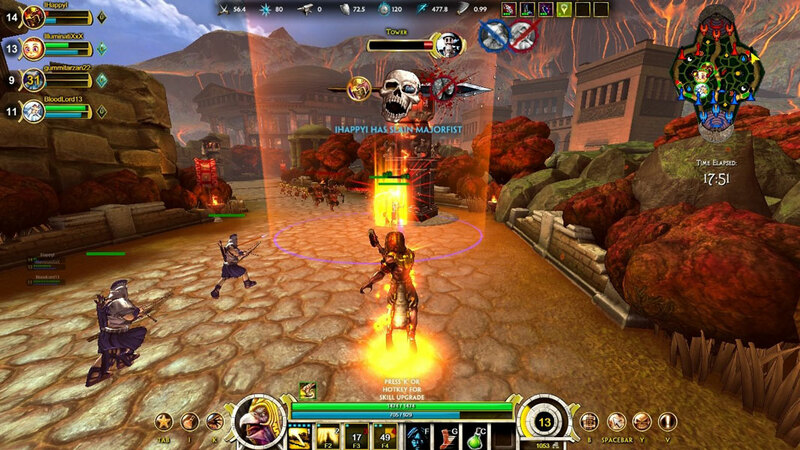 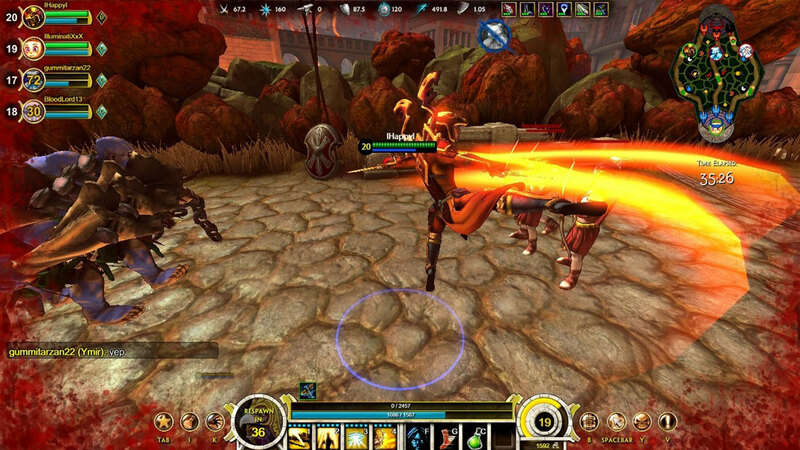 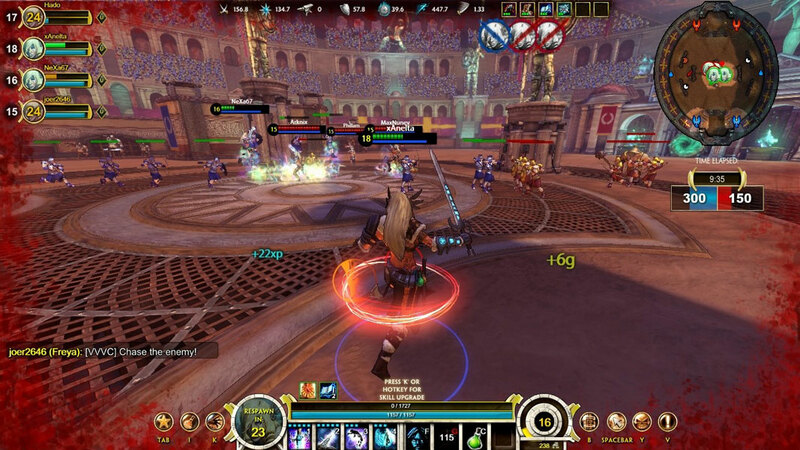 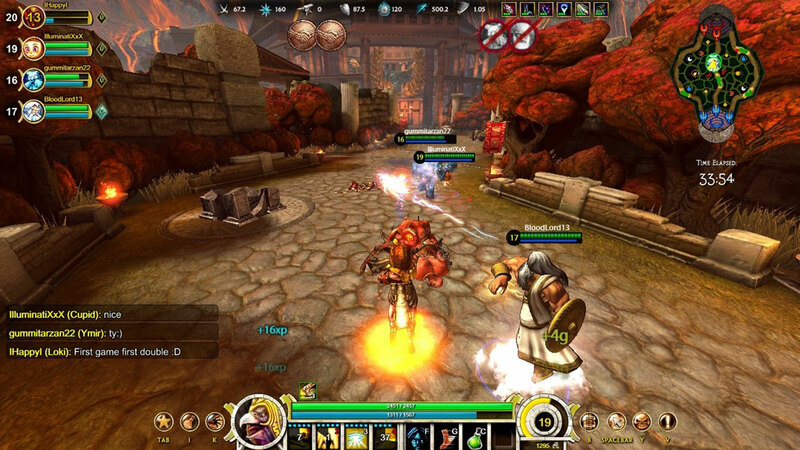 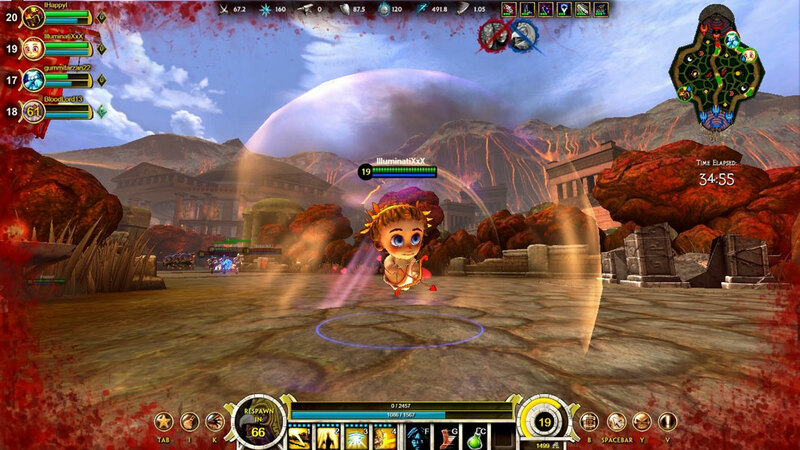 Players choose from a selection of gods, join session-based arena combat and use custom powers and team tactics against other players and minions. 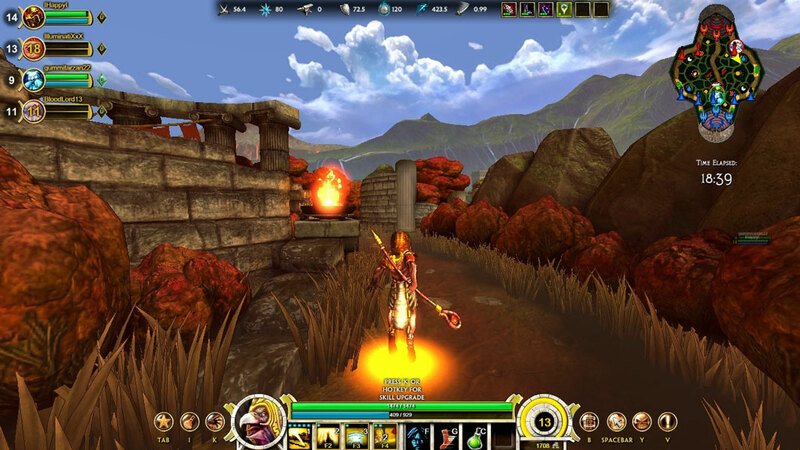 Players have immediate access to 10 playable gods for free. 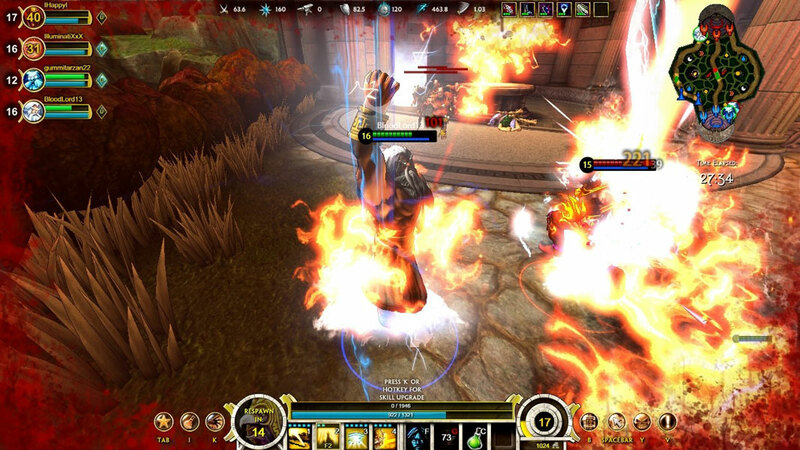 Five gods are permanently free with five additional gods on rotation. 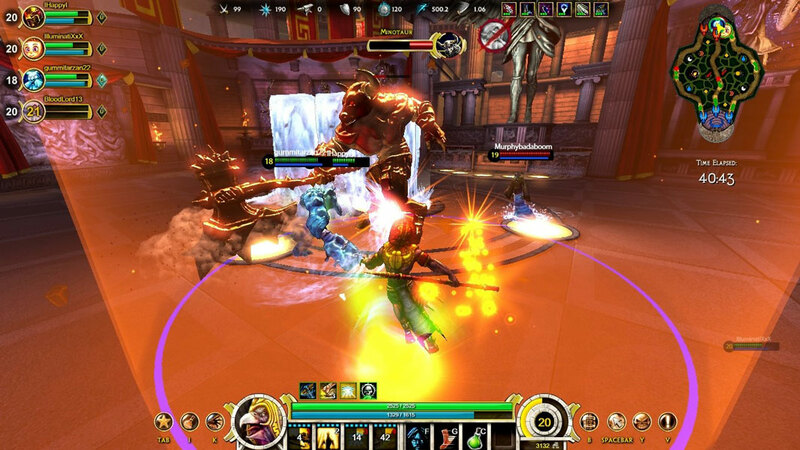 Additional gods are unlocked through gameplay time or more quickly through micro-transactions. 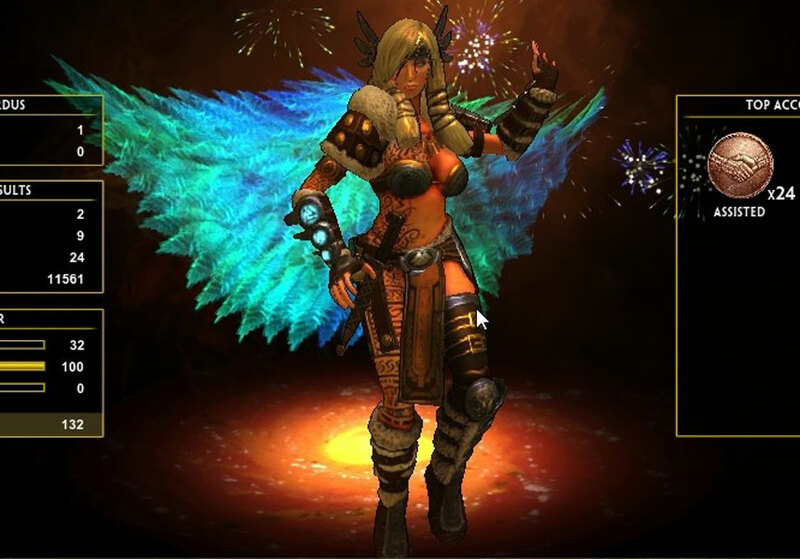 Cosmetic skins can be purchased for further god customization. 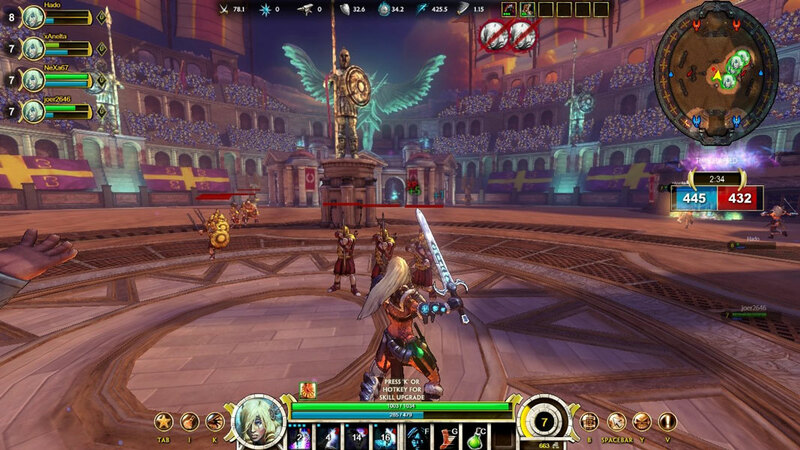 SMITE is inspired by Defense of the Ancients (DotA) but instead of being above the action, the third-person camera brings you right into the combat. 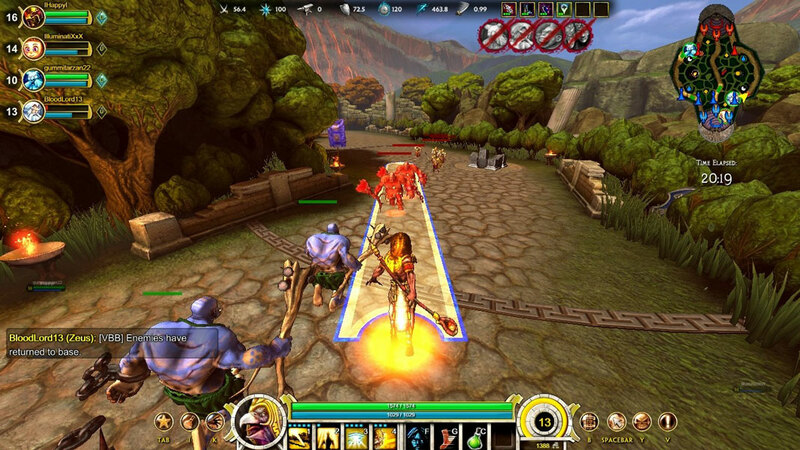 And, instead of clicking a map, you use WASD to move, dodge, and fight your way through the detailed graphics of SMITE´s battlegrounds. 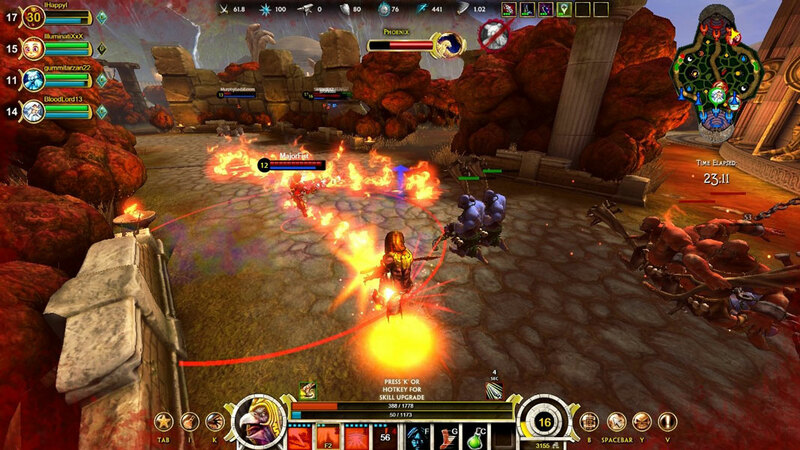 Experience the MOBA genre up close with the game camera directly behind your character. 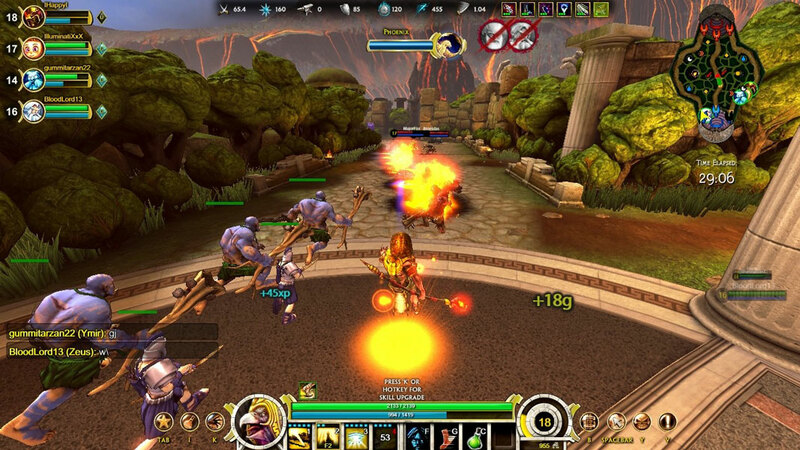 All attacks are skill shots controlled by you. 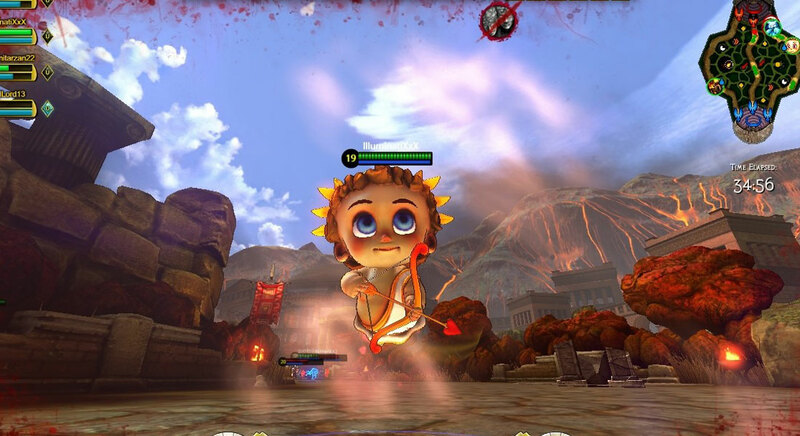 Predict your enemies' movements and hit your mark as you experience fast-paced combat.